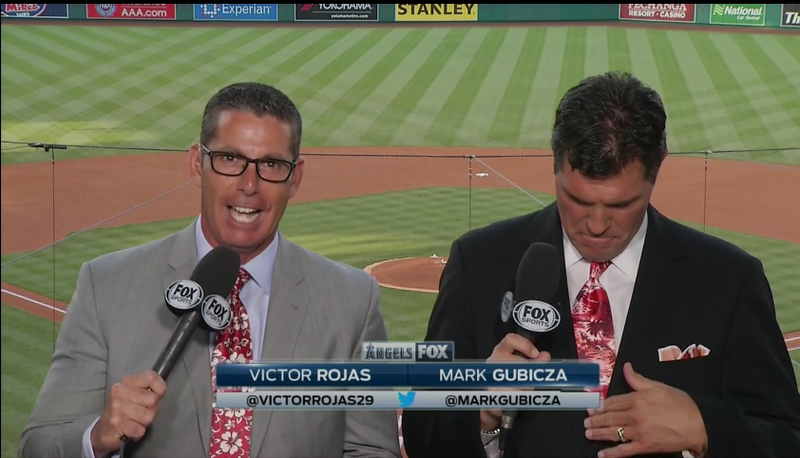 Shopping Customized: Hawaiian Ties from MLB Angel's Hawaiian Week! 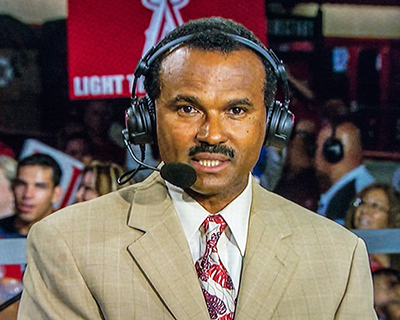 A few well known Angel's broadcasters happily showed off their new Hawaiian ties during the Los Angeles of Anaheim's Hawaiian week celebration! If you would like one of these Hawaiian ties, there are links below where you can purchase your own. These would make awesome gifts for any Angel's fan! Malia Hibiscus Pareau Print tie worn by Victor Rojas. Napili Bay tie worn by Mark Gubicza. 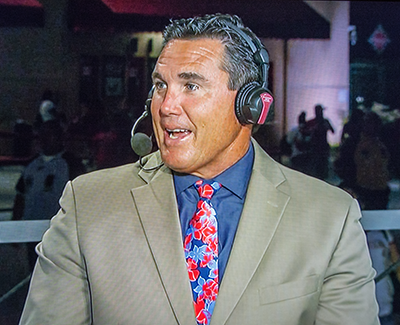 Hanalei Hibiscus Hawaiian tie worn by Tim Salmon. Cliff Hanger Monstera Leaf Hawaiian tie worn by José Mota.